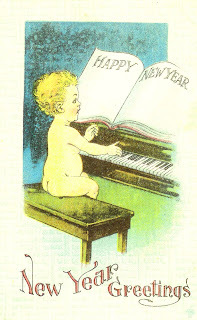 This Happy New Year clip art is from a vintage postcard. I love the baby playing the piano! Music is a great way to celebrate the new year. 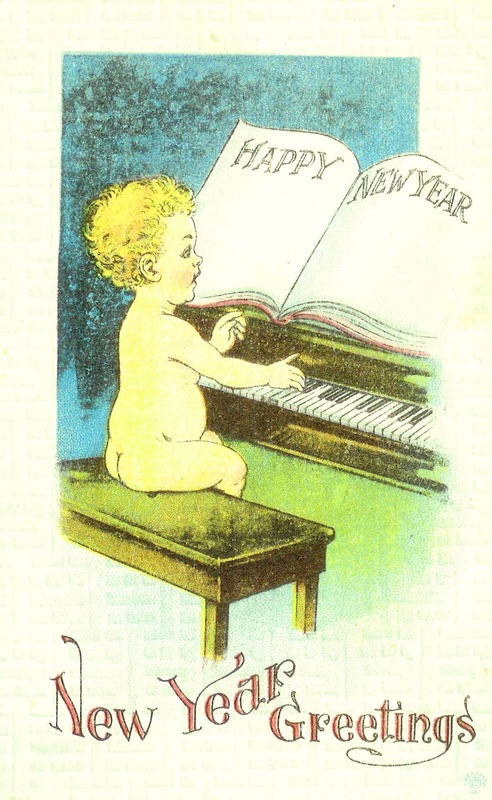 I don't often find these New Year Greeting postcards in antique shops, so it was a real treat finding this one. Enjoy!